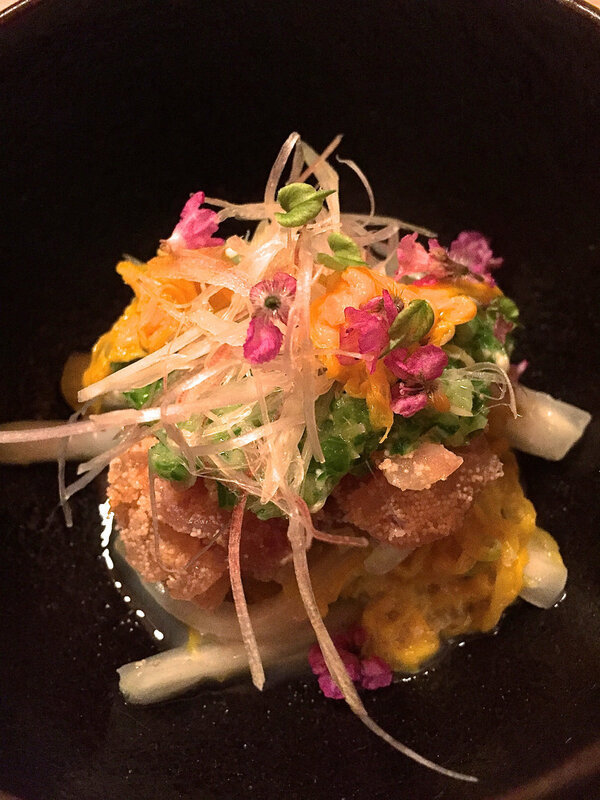 Located at the edge of Roppongi in an area called Azabu-juban, Kadowaki is a small, intimate restaurant with a counter that seats six and a few tiny private rooms. 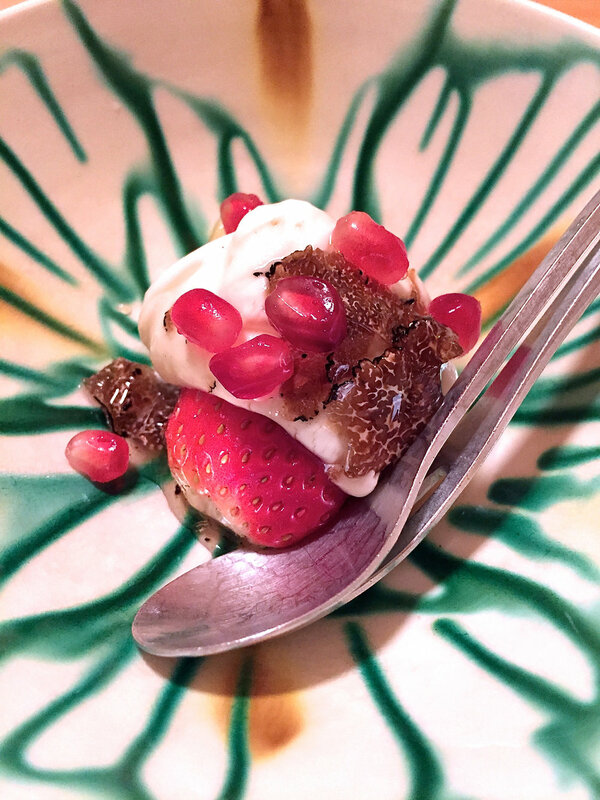 Kadowaki has received a very well deserved 2 michelin star since the star first landed in Tokyo a few years ago. Food here is always excellent and changes with season. Here is what we had this time around. 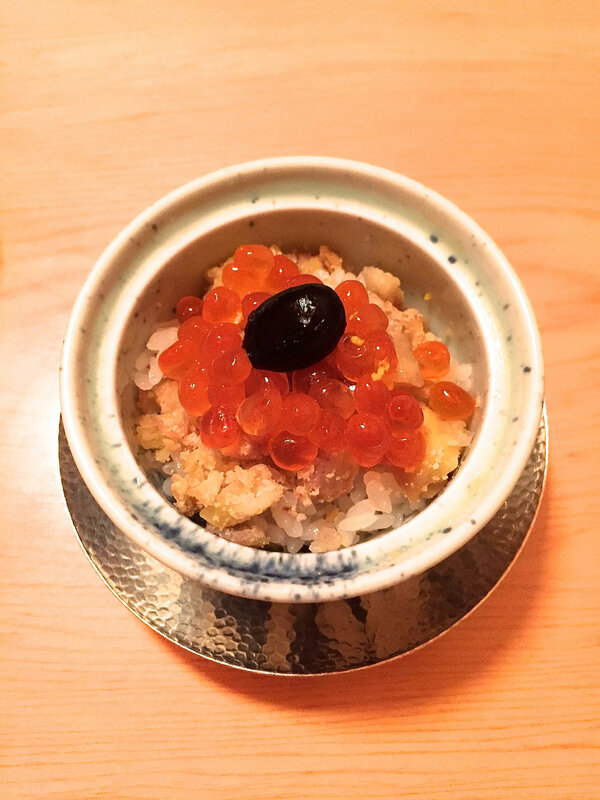 The first dish was a tiny bowl of rice with salmon roe and hazelnut crumbs. 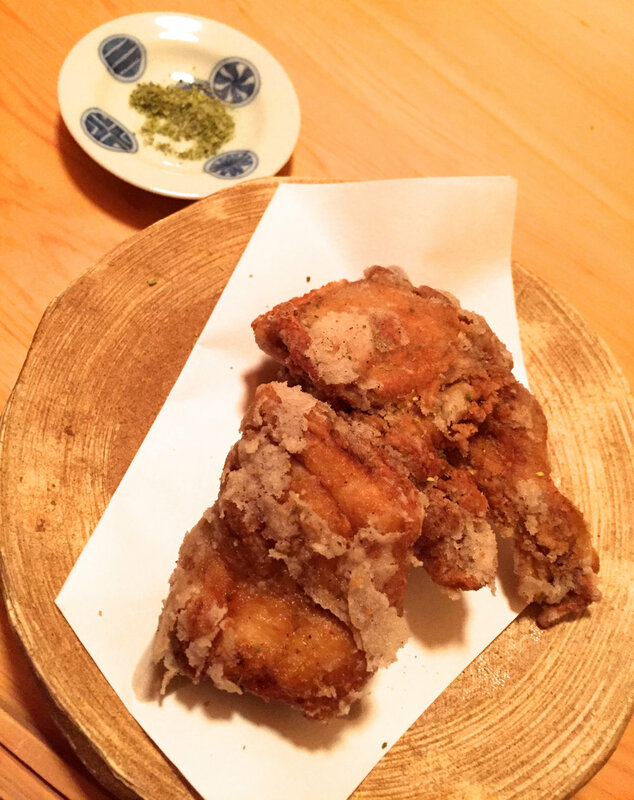 Followed by a delicious karage or deep-fried dish that looked like chicken but was actually fugu or blow fish. Yes, it is the fish that when cut wrong oozes deadly poison but I figured if there were any poison it would have been washed away by the deep-frying,right?. This was absolutely delicious. We used our fingers to devour the fish to the bones. Next came a flowery refreshing mini salad dish, perfect after the oily blow fish. 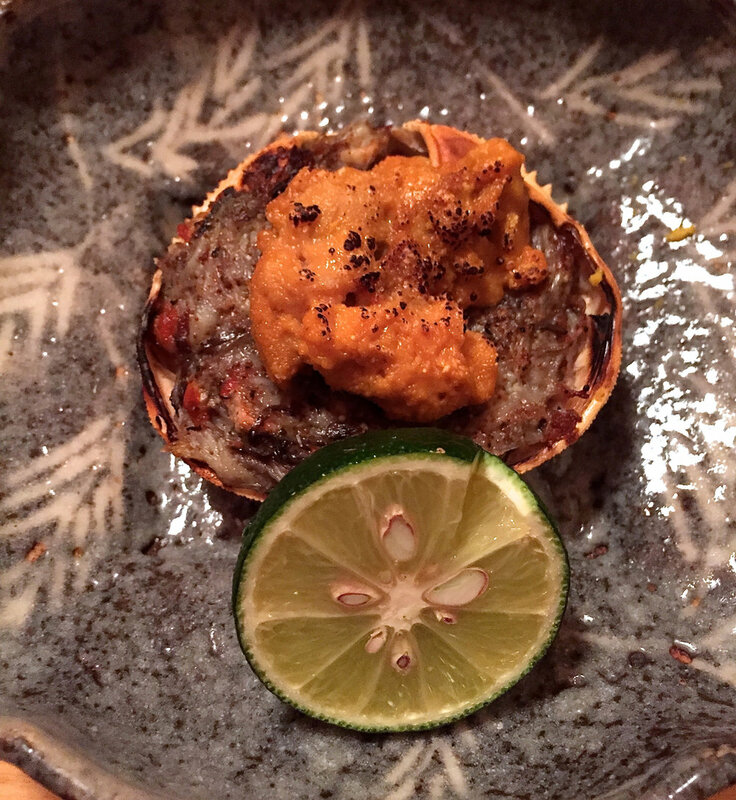 Next came a baked uni dish with crab. Followed by another one of my favorite dishes, a yellow tail shabu-shabu dish. 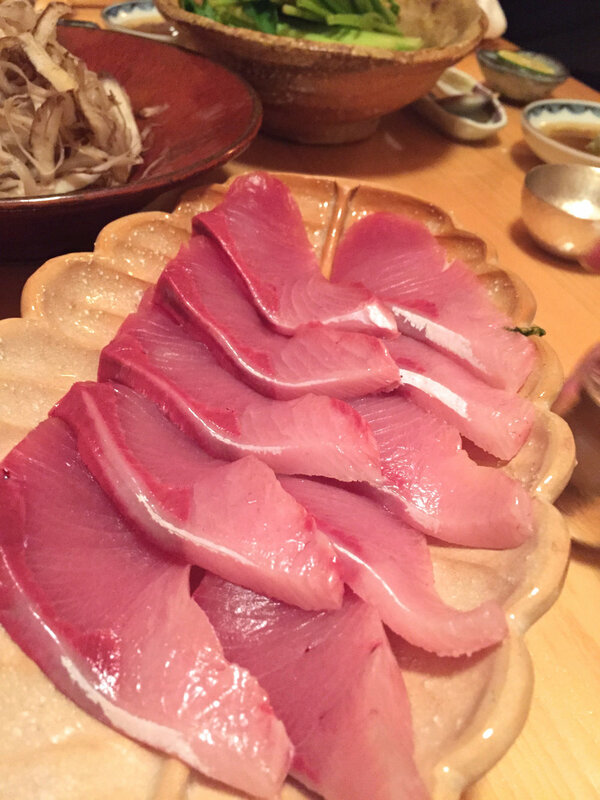 The fish is barely cooked and eaten with a savory sesame oil sauce. 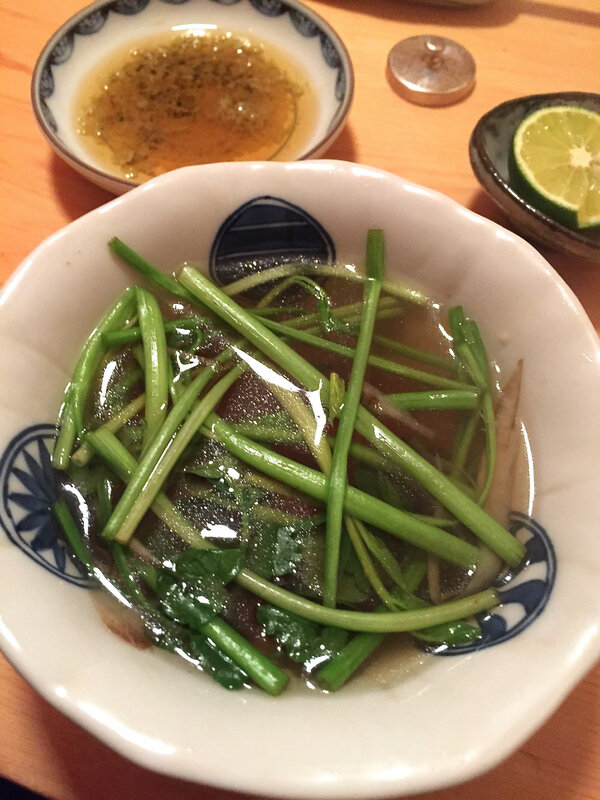 A lovely vegetable soup with the yellow tail fish broth is served after. 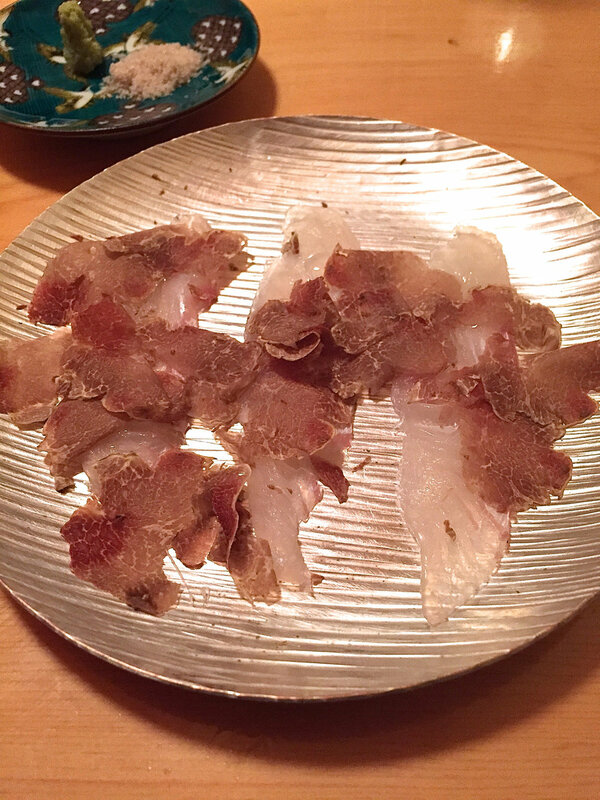 And last but definitely not least is the dish that Kadowaki is famous for. 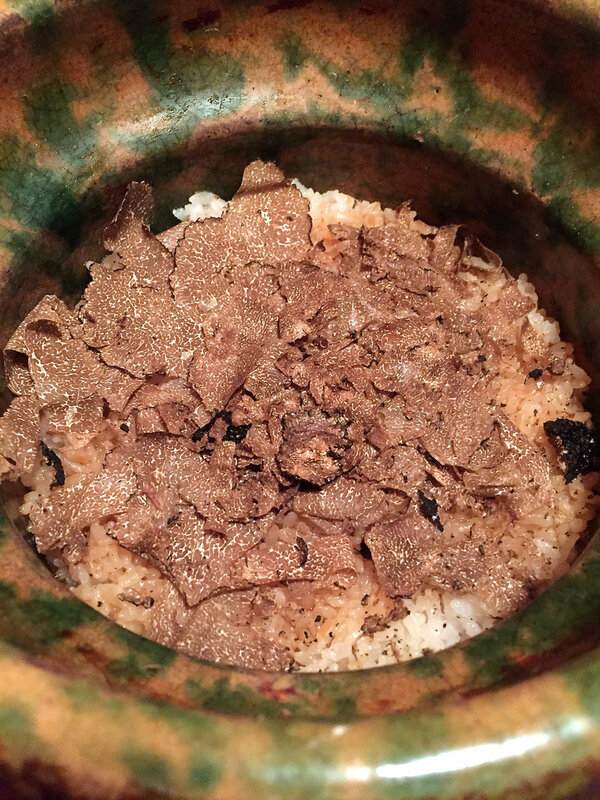 Their extraordinary truffle rice kamameshi. I sometimes wish they would serve this up front because by the time it arrives I’m usually so full and it simply is too excellent to pass. Make sure you have enough space for this because it is to die for. To end things on a sweet note they served a simple dessert that I found to be absolutely lovely. Mango, strawberry and ricotta cheese served with honey sauce. This plethora of delightful delectable dishes will set you back about 30.000 yen but believe me, it is well worth it.